Be the first to share your favorite memory, photo or story of Danny. This memorial page is dedicated for family, friends and future generations to celebrate the life of their loved one. 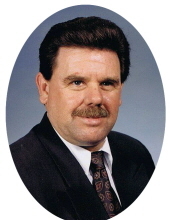 Danny D. Fannin, age 69, of Horseman Lane, Morehead, passed away Thursday, January 24, 2019, at his residence. He was born October 7, 1949, in Rowan County, and was a son of the late Edward W. Fannin and Lucille Stevens Fannin. In addition to his parents, he was preceded in death by a son, Tracy Edward Fannin on November 22, 2001; maternal grandmother, Zelda Stevens; paternal grandparents, Kellum H. Fannin and Willie Claire Fannin; and step grandmother, Ada Fannin. Danny is survived by his wife of 52 years, Judy Fannin, whom he married June 10, 1966; one son, Danny Neal Fannin of Richmond; three grandchildren, Joshua Trace Fannin, Arley Danielle Fannin, and Caleb Edward Fannin; and two great grandsons, Jacob Alan Avery and Eli Trace Mullins, all of Morehead. Other survivors include three brothers, Eulas (Phyllis) Fannin of Wallingford, John (Deborah) Fannin and Jeff Fannin, all of Morehead; two sisters, Jean (Eddie) Sluss and Jenny (Mark) Caldwell, all of Morehead; several nieces and nephews; and other extended family and friends. Danny was a Church of God minister for over 36 years. He enjoyed preaching about the word of God, spending time with his family, especially his grandchildren, riding horses, and playing the guitar. Funeral services will be conducted 2 p.m. Sunday, January 27, 2019, at Northcutt & Son Home for Funerals Memorial Chapel with Pastor Burnel McKinney and Pastor Phillip Lawson officiating. Burial will follow in Horseman Cemetery. Visitation will be from 5 p.m. to 9 p.m. Saturday, January 26, 2019, at Northcutt & Son Home for Funerals in Morehead. To send flowers or a remembrance gift to the family of Danny D. Fannin, please visit our Tribute Store. "Email Address" would like to share the life celebration of Danny D. Fannin. Click on the "link" to go to share a favorite memory or leave a condolence message for the family.